This evening walking tour will allow you to explore one of the most picturesque districts in town that in the last years has faced many changes and now is a perfect window of the vibrant atmosphere of the city. This evening walking tour will bring you to explore one of the most picturesque districts in town that in the last years has faced many changes and now is a perfect window of the vibrant atmosphere of the city. 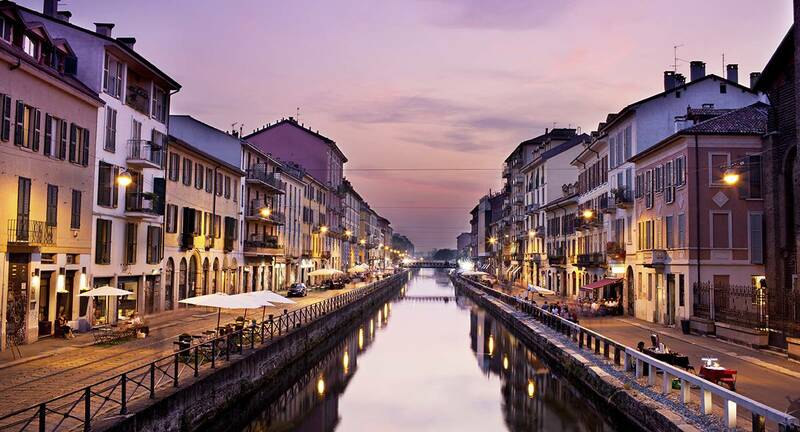 At sunset, when the first lights shining on the waters of "Navigli", we will enjoy tipical Italian food specialities at local markets and shops. A perfect way to experience local culture, to people-watch, to unwind with a drink after a long day of sightseeing… At the end the last stop is on a selected historical bar of the city where a special Milanese Aperitvio will be served. 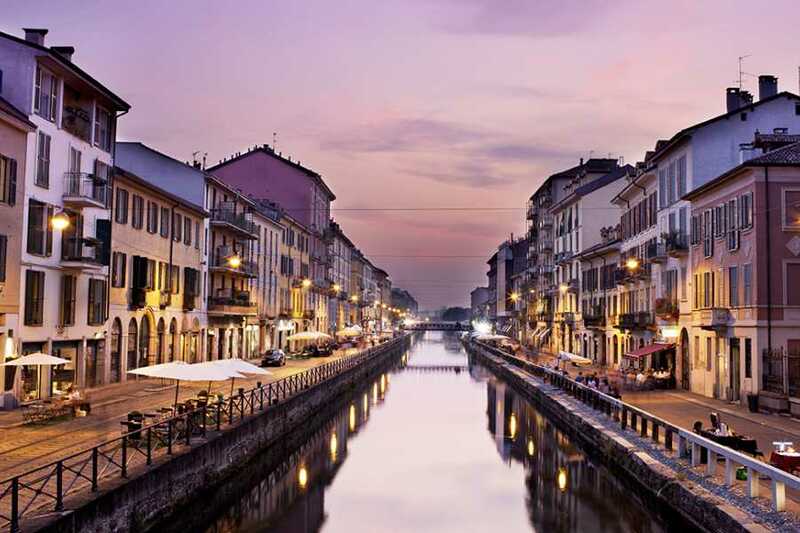 Experience the best of Milan nightlife on the picturesque "Navigli", the canals of the city. Get around the hip district having a food and wine tasting in the local market and at the end, time for Milanese Aperitivo. Insider insights from your expert local guide for your visit to Milan. Enjoy the feel of an evening out with a group of friends!